RECENTLY SOLD in Houston Heights! 304 W 17th Offered at $749,000. Spacious home equipped with quality finishes & selections, all in a great Houston Heights location less than 5 blocks from 19th St. Shopping District, Paul Car Jogging Trail, and Heights Hike & Bike Trail. Measuring 2,466 square feet, this three bedroom home possesses an inviting first floor layout with the living and breakfast room providing views of the spacious backyard. A formal dining room, wet bar and separate living room/study are also situated on the first floor, helping to check off all of the necessary amenities sought after in today’s market. Located on the second floor, along with two additional bedrooms and a laundry room, is the owner’s suite with a large bathroom, walk-in closet, and private terrace deck overlooking the majestic tree-lined 17th Street. Masterfully constructed by Sullivan Brothers in 2011, 304 W. 17th St. is perfectly located in the heart of the Heights…less than 5 blocks from the amazing shops and restaurants on 19th Street, the Heights jogging trail and the White Oak Hike & Bike Trail. 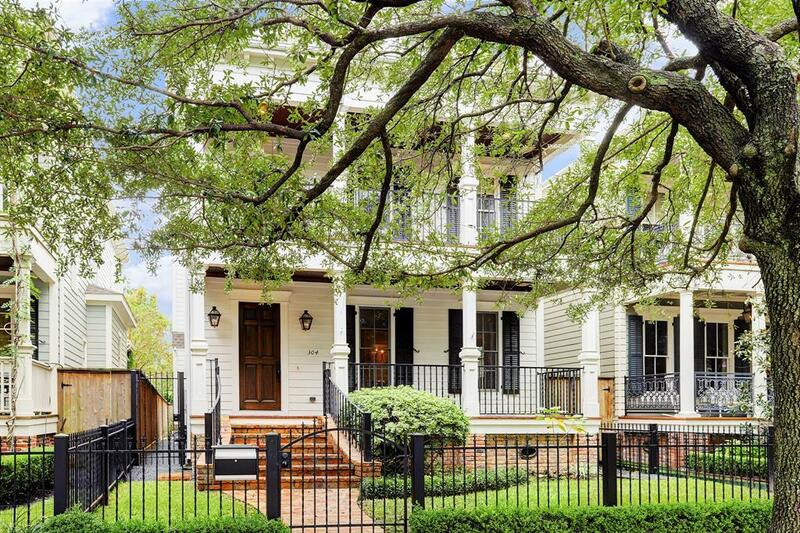 This is the most charming home, on the most charming street in the most charming neighborhood. Click bit.ly/304W17th for more info. BACK PORCH & YARD Buying or selling a home? Give me a call at 713.829.3052 or email me at cynthia@cynthiamullins.com.